Sponsored & hosted by Tobacco Factory. 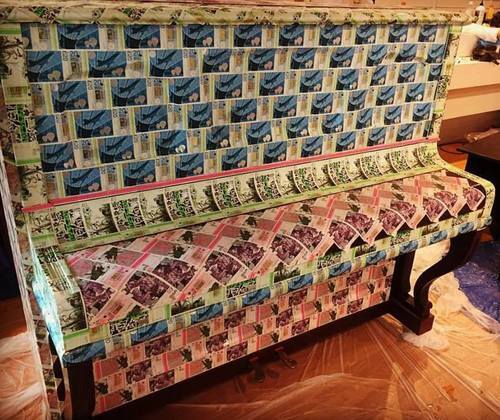 Decorated by Bristol Pound. This piano is now located upstairs in the theatre. This piano sounds fantastic under the shelter in the back yard at the Tobacco Factory! There's a special event taking place her at 6pm on Thursday 17 August so pop along if you're in the area! 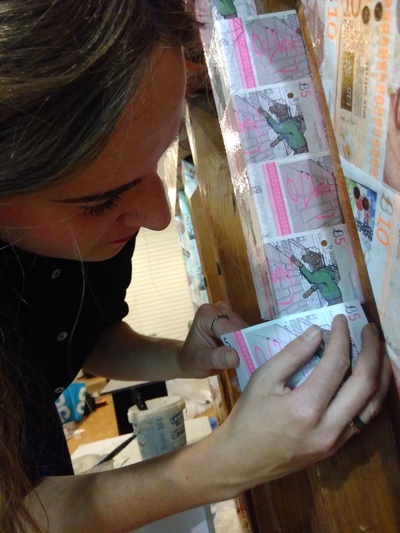 Renowned artist Luke Jerram’s successful ‘Play me I’m Yours’ street pianos project returns to the streets of Bristol in 2017, and the Tobacco Factory's piano will be adorned with first edition Bristol Pound notes! Fellow artist Kim Brûlée gave the piano it's first tinkle with an incredible piece from Amélie. 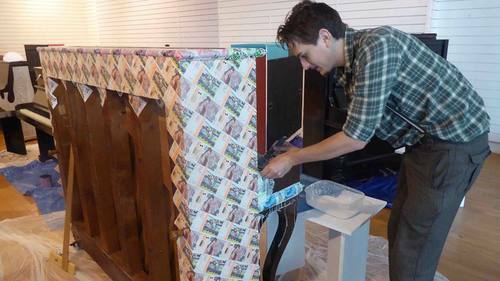 Adam from the Bristol Pound pasting old Bristol Pound notes on to the piano - good work! 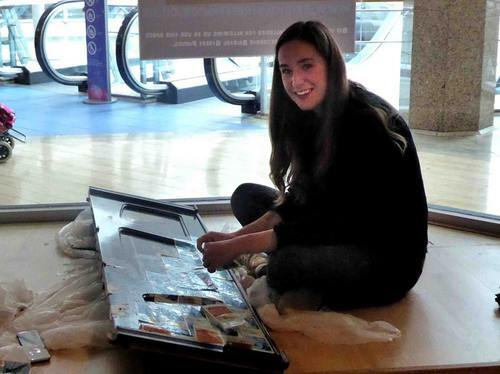 Ruby from Bristol Pound working hard to transform the Tobacco Factory piano.